The Desco Raised Dog Feeder is the unique concept design by renowned Scandinavian designer Mathias De Ferm and having been awarded German Best Product Design Special 2018 and yet again we are raising the bar to offer your dog, your lifestyle considered design for your home. 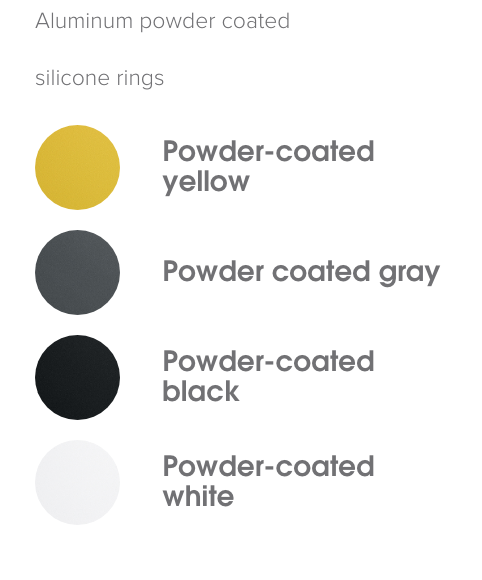 The powder-coated aluminium frame gives the cup stand a puristic look and is extremely stable and easy to clean. Suitable for in or outdoors, rain and UV resistant the Desco is super practical. 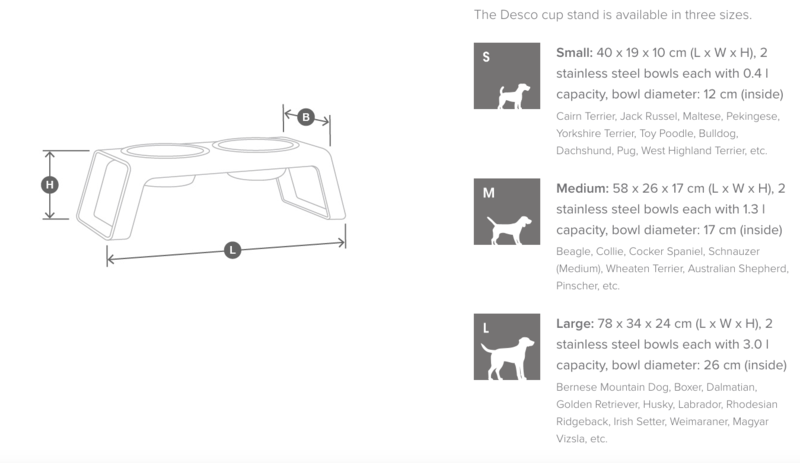 With it's simple clean aesthetics highest quality, functionality and innovative design the Desco most certainly ticks all the boxes in promoting both healthy eating for your dog and adding value to your lifestyle. Mathias De Ferm's exclusive Desco cup stand comes with two removable high quality stainless steel bowls and are dishwasher proof. We always ask you to refer to the manufacturer's recommended cleaning advice that comes with your product. The Desco is made from real wood and one would expect to treat this product as you would do any quality handmade wooden product. Do not clean with any form of abrasive, bleach or harsh cleaning materials. It is noted by the manufacturers that they do not recommend you use the Desco to stand on like a step to reach high objects. With any wood product it is advisable to keep away from direct sunlight and to clean down the surface area with warm soapy water and a soft cloth. The stainless steel bowls are removable and wash beautifully in a dishwasher at normal temperatures. If your dog has a tendency to chew wood we would recommend the Desco brushed aluminium metal cup stand which is also available. The price is set for UK and European Shipping for Countries outside of the European area please email sales@hugoandotto.com for a competitive shipping quote for your area.